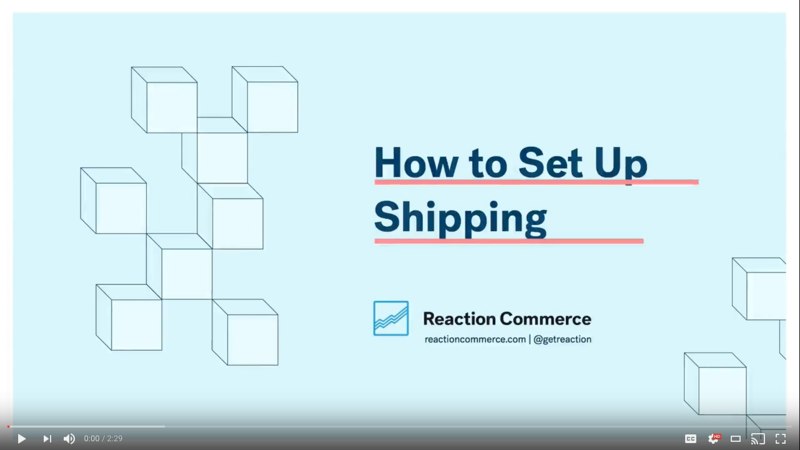 Reaction comes with a simple flat rate shipping plugin. To manage your shipping rates, click on the Shipping icon . 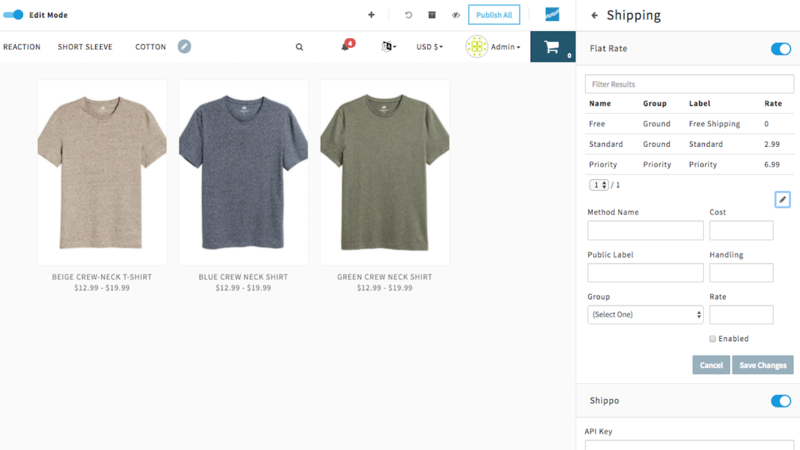 Your store comes with three default shipping methods: Free, Standard, and Priority. To edit any of these rates, click on the row. To delete a rate, click on Delete. Handling: The handling price to charge for this shipping method at checkout. Rate: The shipping price to charge for this shipping method at checkout.